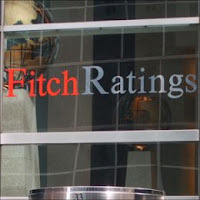 Global rating agency Fitch has affirmed ‘BBB-’ or investment grade with stable outlook to the country's largest lender State Bank of India (SBI). The agency has also affirmed the bank’s Viability Rating (VR) at ‘BBB-’. The ratings of SBI are driven by a high probability of support from the government, given its systemic importance as the largest bank in India, as the sole banker in many economically backward regions and as a banker to various government entities. The bank’s net profit for the quarter registered growth of 12.36% at Rs 2,810.43 crore whereas the same was at Rs 2,501.37 crore for the quarter ended September 30, 2010. Bank’s total income increased by 23.44% at Rs 29,394.32 crore for the quarter under review whereas the same was at Rs 23,813.30 crore for the corresponding of the previous fiscal.